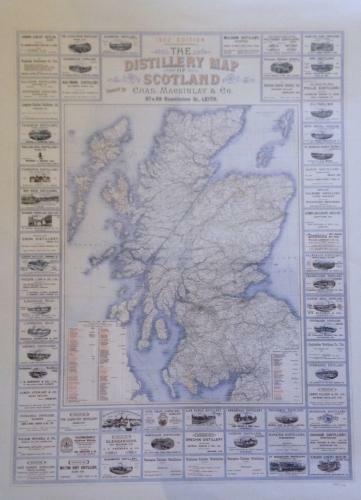 Number 322 from a limited edition print run of 350 of the rare1902 Distillery Map of Scotland. The map pinpoints the location of all the distilleries of the day.surrounding the map are advertisements for many of the distilleries.Sadly, many of the distilleries shown are now closed and their glorious whisky lost forever. This map is a true talking piece and will be appreciated by many with an interest in Scotch Whisky.